Here's everything you need to know about money in Greece. 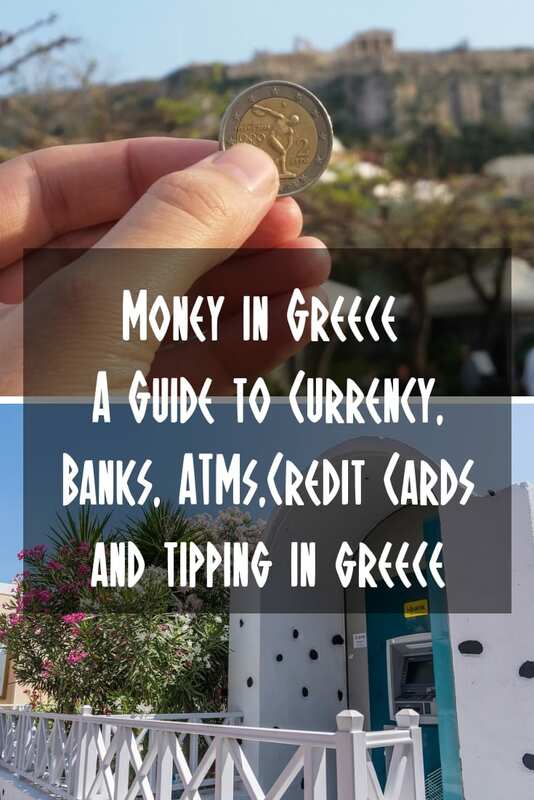 Currency, ATMs, banks, credit cards and more, this guide will show you how to get hold of and spend your money in Greece. Greece is one of many European countries which uses the Euro as its form of currency. So, if you have any old drachmas (the Greece currency before Euro), they won't be of much use to you! Whilst some measures of capital controls in Greece are still in place, none of these affect tourists. You can freely withdraw money from ATM machines, and use your cards as you please. There are a few things it's handy to know though, which is why I created this short guide. I'm nice like that! The Euro comes in coins and notes. The largest Euro note is a 500 Euro, and until a few days ago, I had never actually seen one! The reason for this, is that they are almost impossible to use, as no one but banks wants to accept them. And even banks don't really want the hassle of checking them! In the highly unlikely event that a currency exchanger offers you a 500 Euro note or you receive one from a bank, politely decline, and say that you want smaller denominations instead. 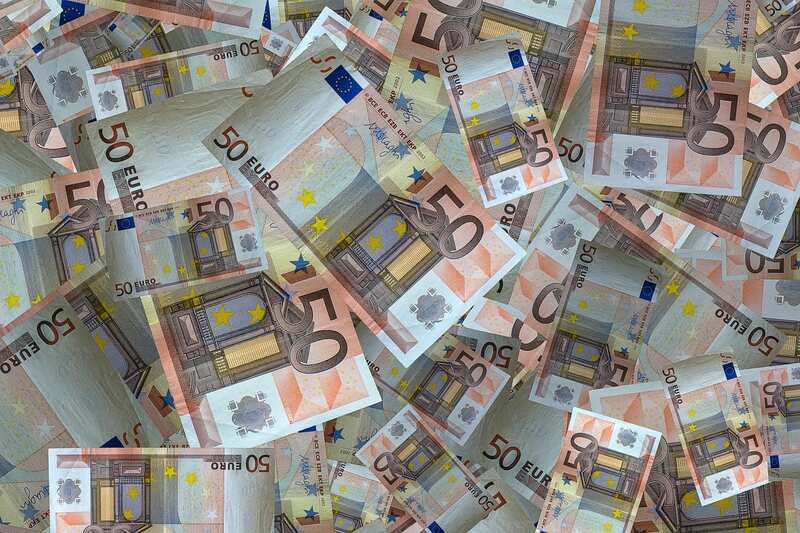 The largest note you want in your wallet is a 50 Euro note. Before you ask, no, you can't spend Dollars or Pounds in shops in Greece! The dollar to USD rate is always changing. You will also find that currency exchanges in for example the Athens airport give much poorer rates than if you were to withdraw money from an ATM machine. Even little commission rates can add up during your vacation in Greece. Keep your eye on the exchange rates by using Google. Greece currency to USD: 1 Euro buys 1.17 USD. 1 USD buys 0.86 Euros. It will be fun to see how this changes over the years! Should I take cash to Greece? Sure, you can either exchange your local currency to Euros before you leave, or bring along some of your local cash to exchange at a currency exchanger. Just remember that shops and restaurants do not accept foreign currency! You've got plenty of options to get hold of your money in Greece. These include changing money at your domestic airport (terrible choice), money on arrival at the Greek airport (bad choice), using a money changer (bad choice) or using ATMs in Greece (probably the best option). I'd suggest whatever option you choose as your primary means of getting hold of money in Greece, you bring a few Euros over with you anyway. There's nothing worse than arriving at an airport in a foreign country to find out you can get hold of the local currency because ATM machines are closed, and all the exchange kiosks are shut for the night! This is probably the best method of getting hold of cash in Greece. 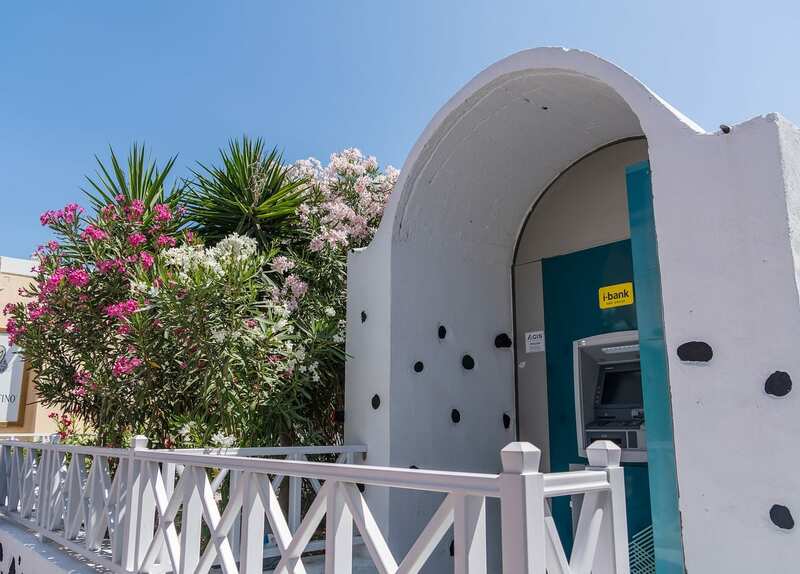 You can find ATMs in every major town and city, and practically every inhabited Greek island has at least one machine. You will find ATMs in supermarkets, airports, ferry ports, metro stations and other public places. There are a couple of things to keep in mind when using ATM machines to access your money in Greece. The first is that there may be a daily withdrawal limit from the machine as well as your card itself. You may even need to tell you bank that you are travelling to another country so that they will authorise its use overseas. Another thing to keep in mind, is that some machines will offer two exchange rates. One is normally a lot more than the other! You should do your due diligence and work out what your own bank will charge you for withdrawing cash abroad. Finally, if travelling to a smaller island, you may find that machines run out of cash from time to time. Don't leave it until the last minute to withdraw! Credit card usage in Greece is not as widespread as in other parts of Europe, but in recent years there has been a massive effort to catch up. In fact, the government is actively encouraging and enforcing card use for some businesses, particularly in the hotel industry. So, you will be able to use your cards in shops and hotels, fuel stations and shops up and down the country. When it comes to bars and tavernas though, you may need to check their machine is working. You would be surprised at how many card machines are faulty in these places when they work perfectly everywhere else. Very strange!! Does Greece use the Euro? Yes, the currency in Greece is the Euro! What currency is used in Athens Greece? The currency used in Athens, Greece is the Euro. Looking for more information on planning a trip to Greece? These articles are a good starting point.